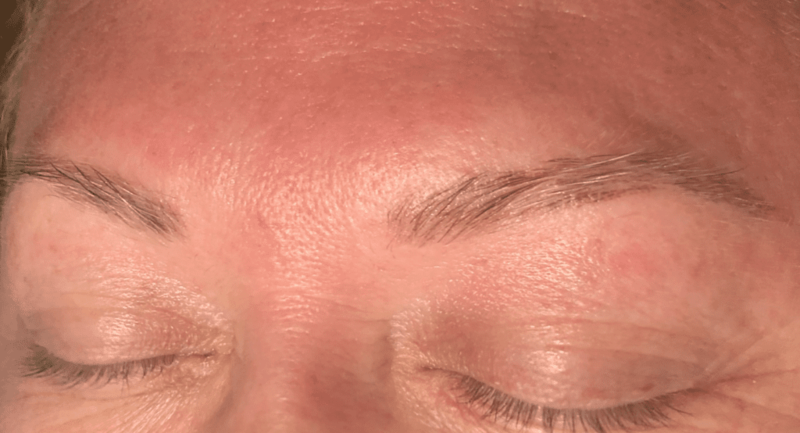 I feel like I should start by telling you that microblading wasn’t something I really thought I needed. I’ve always had quite full, dark eyebrows. Which, yes, is a blessing, but it does come with its own set of inconveniences; let’s just say I never go far without a pair of tweezers. I’ve been very grateful over the last few years to see the trends change towards a more natural (albeit groomed) brow. Over time I’ve changed my makeup routine to fit this and started filling in my brows a bit. Nothing dramatic, just a soft powder in the inner areas that were slightly lighter and also near the outer edges to complete my arch. I don’t do high maintenance makeup on a daily basis, but even for me this seemed manageable. 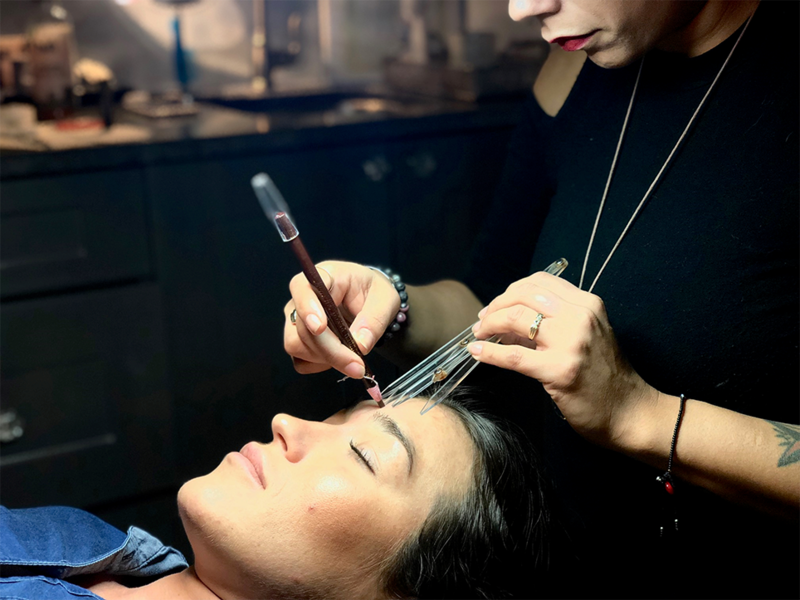 So fast forward to a few weeks ago, and I find myself thinking that a lot of people might be interested to learn more about microblading. We’re hearing the term more and more, but I’d venture to guess that most people still don’t really know what it is or how dramatic the results can be. Actually, I just spoke to a friend who asked about it and when I told her what it was it turns out she thought it was an entirely different procedure. Well I decided the best way to give an accurate account of what to expect, is to go ahead and just have it done myself. And guess what…I’m OBSESSED!! It literally makes my morning routine so much easier, I feel prettier without makeup, and the best part, is my brows are perfectly even all the time! 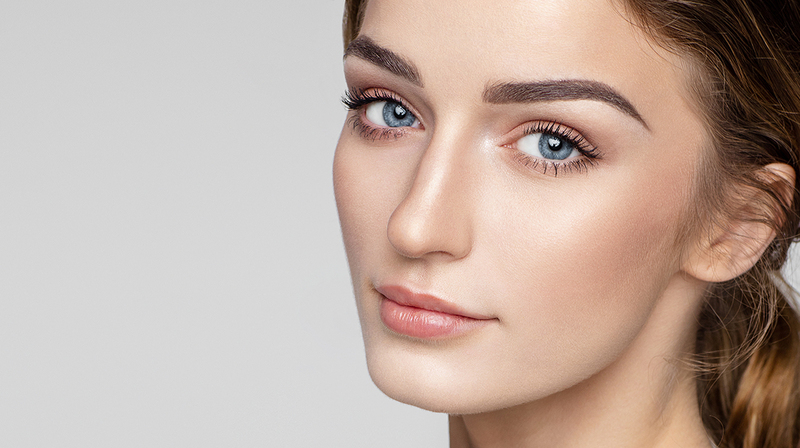 It looks much more natural than powder or pencil, but also more polished than natural brows. I’m not kidding, I really think this is for everyone! 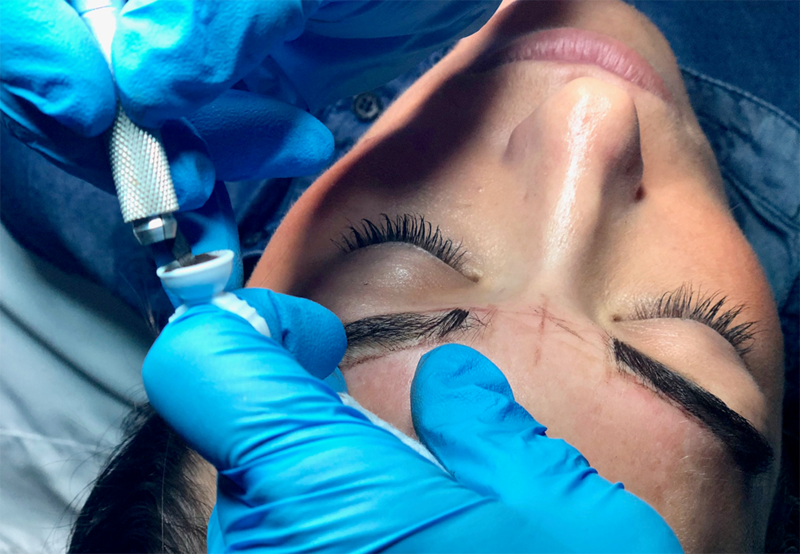 After about 20-30 minutes of numbing, she very carefully used a measuring tool as well as a thread to measure and make marks exactly where my brows were to be filled. This involved measuring from the inner corners of my eyes, the outer corners, and both the top and bottom of my arches. This sets the template for where each stroke will go so its extremely important that it’s done correctly. 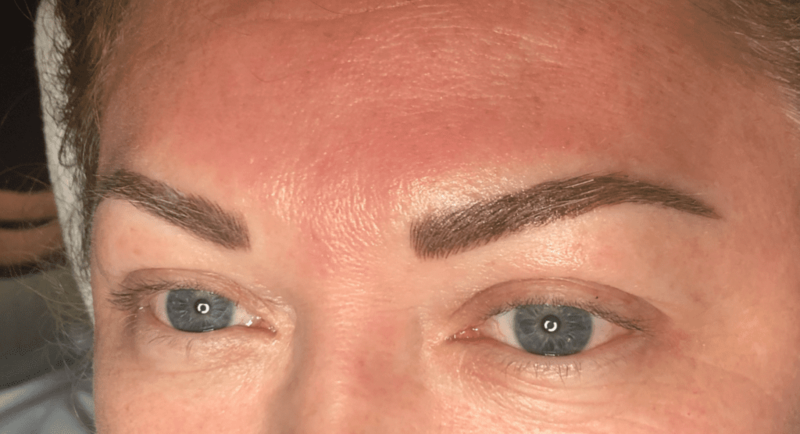 Once this is complete, you are prepped and ready to be microbladed! 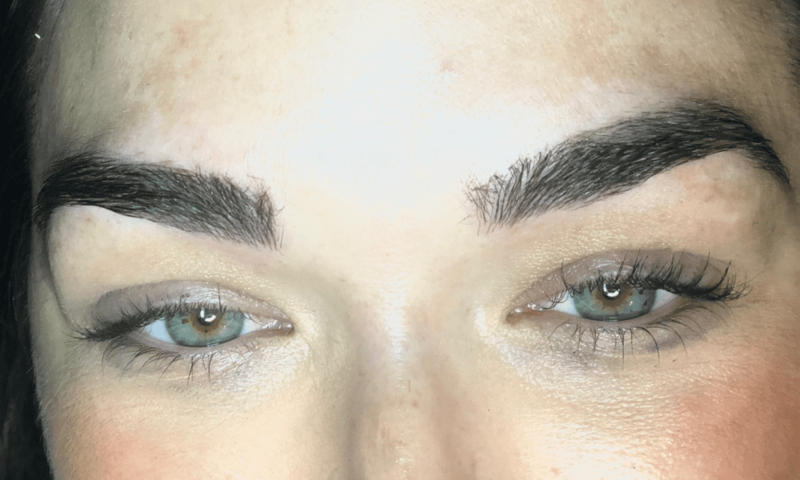 According to my “extremely scientific google search”, microblading is defined as a semi permanent technique for enhancing the appearance of eyebrows, in which pigment is scratched into the skin in fine, short strokes resembling hair, using a hand tool with a blade formed of tiny needles. And this is exactly correct. 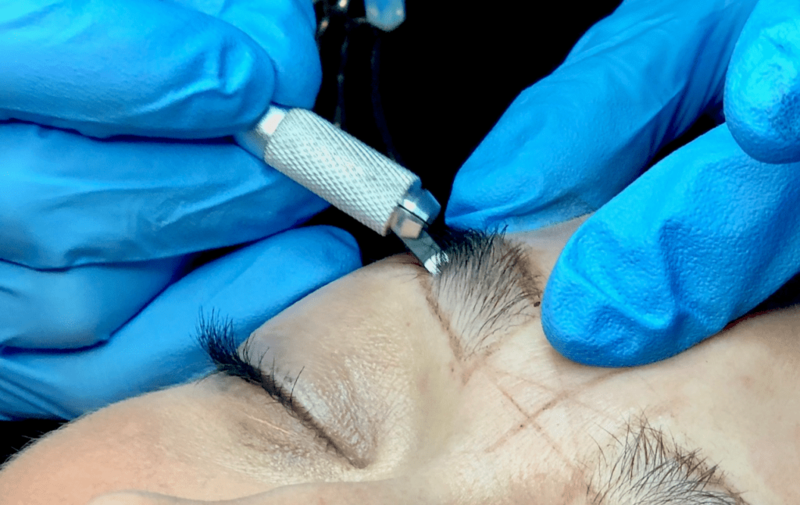 It is semi permanent because the tool only penetrates the epidermis (traditional tattoos penetrate through the epidermis into the dermis). The blade that’s used is unique to this procedure. I personally expected something more like a small razor blade, when in actuality its not really a “blade” at all but a closely spaced row of very fine needles. The needles hold the ink and the artist makes small “scratches” across the surface of your skin to deposit the pigment. Its these short strokes that create the illusion of hair where there is none. 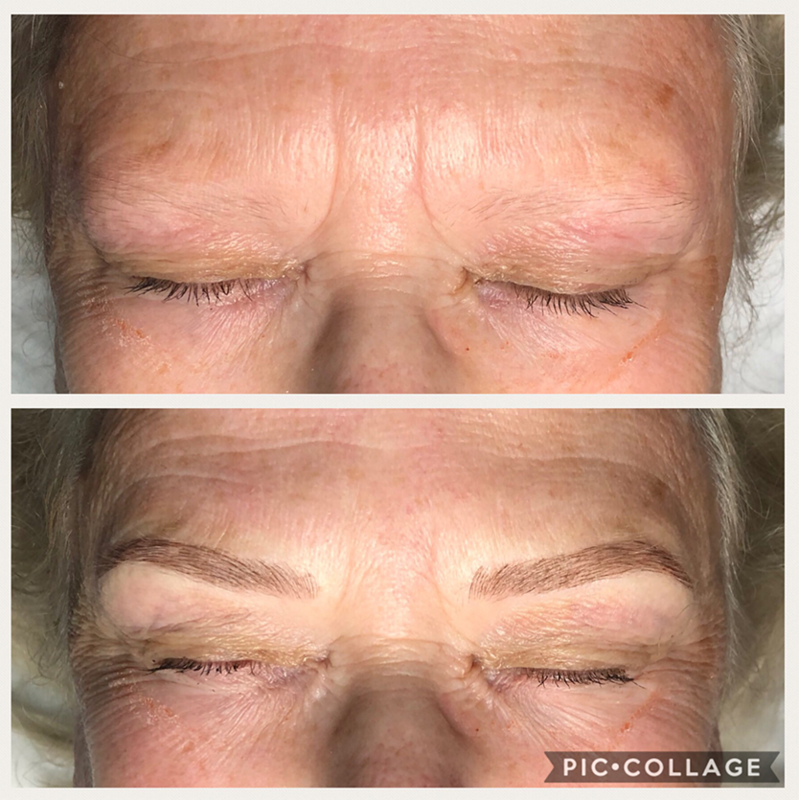 Once your procedure is finished, she will clean you up, place a mask on your brows for a few minutes and send you on your way…and with brows A LOT darker than you ever wanted! Yep, you read that right. Its pretty shocking; especially the next morning when the pigment really deepens. But don’t panic, this is a normal part of the healing process. The first week is honestly tough. You must keep them completely dry and it takes at least 7 days for you to lose the Groucho Marx look. 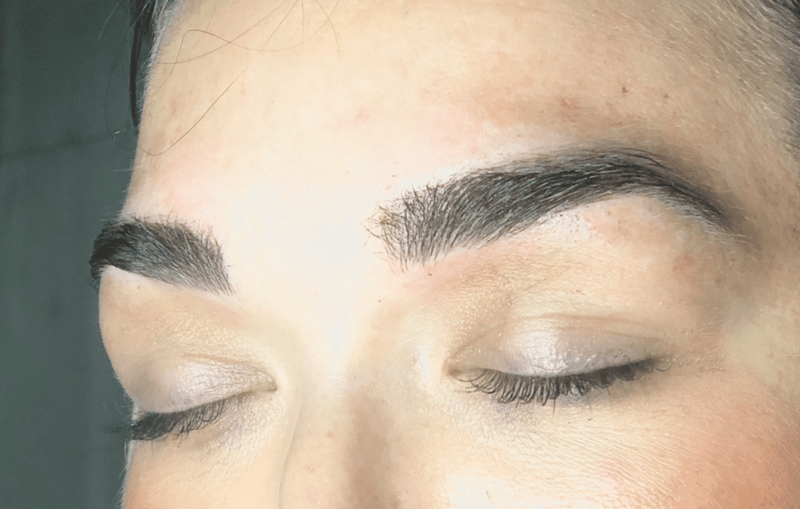 After 7-10 days they will begin to peel, which can be a bit itchy, but once they do, your beautiful new brows will be revealed! It will take about a month to achieve the final result, and at that point you may require a small touch up. Proper after-care may reduce the need for a touch-up but if you need one to get them perfect, know that that’s normal.